Bring the family for an evening of fun at the airport. 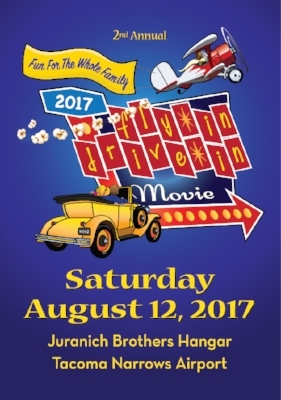 Enjoy a sampling of local food and beverages, an opportunity to see a fantastic collection of vintage planes and vehicles, and an outdoor viewing of the movie Planes II. Bring your own seating and an appetite for food and fun! The last three concerts of the year! Summer Sounds at Skansie Off To Great Start!